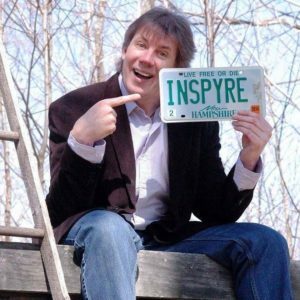 On today’s show, Motivational Speaker, Author and Philanthropist, Steve Gamlin, joined Lori to talk about gratitude goals for the new year. They started off talking about finding what we really want, writing it down and knowing why. They debunked the typical new years resolution concept and highlighted a more meaningful way to increase what we want more of in our life. Steve then shared about helping homeless veterans and investing in things we care about. Next, the conversation turned to focusing on our gratitude goals for the new year. Steve encouraged us to ask ourselves what our favorite three things of the day were so we could journal them. They also talked about learning how we succeed, how it’s not random and requires an element of faith. Finally, Steve told us about his commitment to last years workouts, being committed to his habit and the community that helped him succeed. Listen in and hear more about it.